These previously unpublished stories written in Truman Capote’s youth are instantly recognizable. The Early Stories of Truman Capote contains 14 stories, most previously unpublished, written in Capote’s teens and 20s, and only recently unearthed among his papers in the New York Public Library archives. Presented with a foreword by Hilton Als of the New Yorker, these are short pieces, studies of subjects Capote would continue to favor in the later works for which he is known: sensitive young children, fractious ladies, the poor and the disenfranchised. They are set in the Deep South, in New York City, in swamps and in small towns. The talents of the author of In Cold Blood and Breakfast at Tiffany’s are evident in this early work. His descriptions are simple but strongly evocative: “curly, wig-like grey hair” and eyes “bright, like bubbles of blue glass.” His characters tend to be laconic but expressive, with interjections speaking as loudly as words. In “Swamp Terror,” a boy chases a convict into the woods and gets a bigger taste of adulthood than he bargained for. In “Louise,” a schoolgirl lets her petty jealousies do irreparable harm. “Traffic West” presents a remarkable collection of characters and events, in experimental form. In other stories, a young boy finds the dog of his dreams in a park, but the dog belongs to another child; and two wives muse on the hypothetical murder of their husbands. 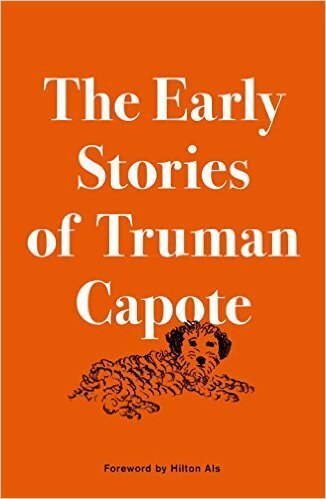 These easy-reading, alternately amusing and haunting stories offer a fresh, new glimpse of Capote’s genius, and simultaneously feel intimately familiar. This review originally ran in the November 6, 2015 issue of Shelf Awareness for Readers. To subscribe, click here, and you’ll receive two issues per week of book reviews and other bookish fun!